A 47-year-old woman on a Jetstar flight from Melbourne to Brisbane was taken off the plane by officers of the Australian Federal Police (AFP) and hospitalized Sunday after interrupting the flight with screeching, screaming and abuse  After 9News received the footage of the incident, the Queensland woman, who was not named, screamed for most of the approximately two-hour flight and responded aggressively as the crew members tried to reassure her. Witnesses said the woman made some children crying nearby after she started to sing and sing loudly 20 minutes after boarding. In the one-minute video clip, the desperate woman sees a bible in the air and shakes her as the cheap-airline's cabin crew looks helpless. 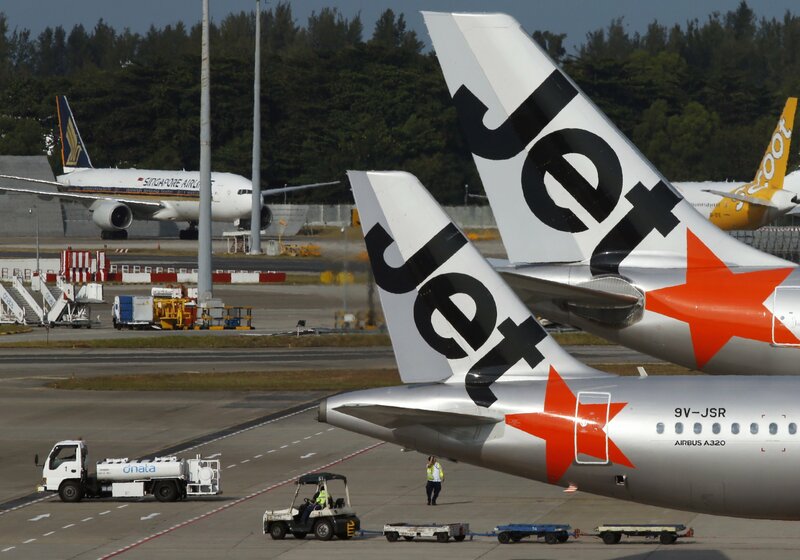 Jetstar confirmed in a message to 9News that a "disruptive" passenger had been removed from one of his flights after refusing to follow directions. The AFP said in a separate media update that the woman was eventually pulled off the plane after it landed in Brisbane, continuing screaming and shouting after being taken to the airport. "Once inside the terminal, the woman was reportedly agitated and aggressive, refusing to follow instructions from AFP officers," the agency said, adding, "For the benefit of the woman, an ambulance was called and she was hospitalized for Physical and Psychiatric Assessment. " Last October, a 30-year-old man was arrested at Melbourne Airport after crawling through a luggage room and attempting to break into a Jetstar 787 aircraft. He was screened by the AFP and arrested.